I write about a lot of eBay gift card deals here on the site, so I thought it would be important to cover some important changes that PayPal will be putting into place on June 25, 2016. These changes effect both buyers and sellers of gift cards and are in place for any PayPal transaction, not just eBay ones. Items equivalent to cash, including gift cards. We’re also clarifying the exclusion for items equivalent to cash to now include stored value items such as gift cards and pre-paid cards. 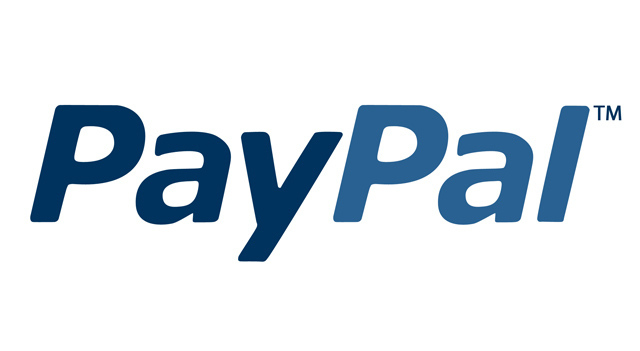 Soon you won’t have PayPal protection when purchasing these items on eBay. 11.5 Items/transactions not eligible for PayPal Seller protection. The following are items/transactions not eligible for PayPal Seller protection. Intangible items, including Digital Goods, and services. Items that you deliver in person, including in connection with In-Store Checkout. Items equivalent to cash including gift cards. While I highlighted the gift card sections, I suppose it is a good idea as a buyer and a seller to know exactly what is excluded from protections. My guess is the amount of fraud when dealing with gift cards has been to much for PayPal and thus they are protecting themselves. I don’t think these changes would keep me from purchasing from the bigger sellers on eBay (GiftCardMall, SVM, PayPal Digital Gifts, etc. ), but I definitely would not buy a gift card from a normal seller nor would I purchase pre-owned gift cards. I also will think twice before paying with PayPal when buying gift cards from other sources. While there may still be some credit card and eBay protections, it probably isn’t worth the hassle. Fraud is seemingly so widespread now in the gift card world that changes like these are inevitable. Companies are eating a ton of money and they feel they must institute consumer unfair policies in order to change that from happening. It is definitely unfortunate, but not surprising. Will these new changes keep you from purchasing gift cards on eBay or elsewhere where you pay with PayPal? Let us know in the comments. Previous articleA Positive Development with iConsumer: Are Checks Actually Being Mailed Out?!? Next articleYou Can Now Have All Amex Prepaids At Once (Serve, Bluebird, REDCard) & Can You Get Them If You Have Previously Been Shutdown? This is what killed the bluebird gravy train and it was only a matter of time before it migrated to the giant online gift card market. I have never had a problem from the big resellers like paypal digitial gifts. I will keep buying gift cards from them until I encounter a problem. This probably isn’t aimed at the trusted sellers (SVM, GCM) so I don’t think this has anything to do with being killed by this community. Appreciate your taking the time to read the fine print and get down to the nuts and bolts of how this impacts us. I only purchase gift cards from the big sellers so it hopefully won’t impact me. I know some will purchase gift cards from everyday joe sellers on ebay, such as target gift cards during ebay buck promos when GCM is sold out. This has never been something that’s interested me. Between possible risk and hassle it’s just not worth it to go after these types of deals. Well, as a *seller* of gift cards (one at a time) for gas, thus getting 3X when I buy them as I sell them, and not before, this is not a surprise. I would say that almost 50% of my sales ended up in the Seller Protection bucket. Fortunately, I documented everything and never lost any $$$, but it was major hassle for just not enough points to keep making it worthwhile. Now when the protection ends, it would be insane to continue. There are a LOT of people that hijack eBay accounts and use the heck out of them until shut down and i am sure a lot of more inexperienced sellers have gotten plenty burnt. Glad to know about it though as I got no email from PayPal as of yet about this change, nor, for that matter, from eBay. Sounds like someone has an axe to grind. I’ve purchased hundreds without a single issue. Only buy from the big sellers and IMO it’s not worth selling gift cards on eBay. I’m an ebay reseller, but stay away from gift card reselling. I know many do it, but I’m pickier about minimizing fraud problems. I wish ebay went back to the old days when sellers could leave bad buyers bad feedback. That was the one deterrent to buyers who didn’t want to pay or tried to say they didn’t receive something that they actually did. Ebay took that deterrent away from good sellers. So, I greatly diminished selling on ebay and turned to direct sales. I was able to do that because I had already built up customers. I feel bad for those trying to break into reselling. It’s not as easy as it used to be. Once, ebay was THE place to do business. Fees were reasonable, and the feedback system kept bad buyers in check or a seller could retaliate. But, because I have stellar feedback from many years ebay/pp do look out for me and back me up when there’s issues with a buyer. I hardly ever have problems because I’m careful how I sell and what I sell. I usually only do Buy It Now and the buyer must pay immediately or they can’t buy it and the offer continues. I also have a number of countries blocked from buying from me due to high risk area. Even with all my precautions I still won’t resell gift cards on ebay, especially with PP’s new policy. Ebay/PP really just caters to the big stores that can withstand loss. Their current policies make things difficult for small seller like me, so I greatly limit what I sell on there. Has anyone called over to ebay to see if their protection still stands ? I was under the impression that paypal protection was SECONDARY to ebays. And most of the time when sellers didn’t send what I paid for, EBAY stepped in and refunded me. I have bought a number of gift cards from private sellers and cant imagine that will continue if we are “thrown to the wolves” so to speak. Ebay doesn’t deserve its 9% if its not standing up for sellers that don’t follow thru. Can someone explain in detail this from section 13.3 Anything purchased from or an amount paid to a government agency. People who receive there money on a card from social security or other will not be able to use the card for future transactions? Sellers effectively have zero protection selling gift cards on Ebay. The fraudsters can get you with Ebay Buyer Protection or simply by disputing the charge on their credit card as an “unauthorized purchase”. Since you’re selling an item not covered by Paypal Seller Protection they will automatically settle the case for the buyer (personal experience here). It is interesting though how these new rules appear to not protect buyers or sellers. So basically it’s a free for all for both scamming buyers and sellers? Best case is not to sell or buy gift cards unless you’re buying from one of the major companies for personal use. I guarantee the scammers will win the majority of the time, since it’s their job to exploit the loopholes. It’s basically impossible for Ebay/Paypal to properly police gift card transactions.